The dial combination padlock offers a higher number of possible combinations using a 3 digit code with 64,000 possible combinations. 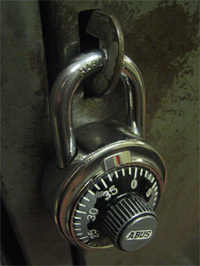 Each lock is allocated it's own combination which is non-resettable. Ideal for schools, gyms and where large numbers of lockers are secured. 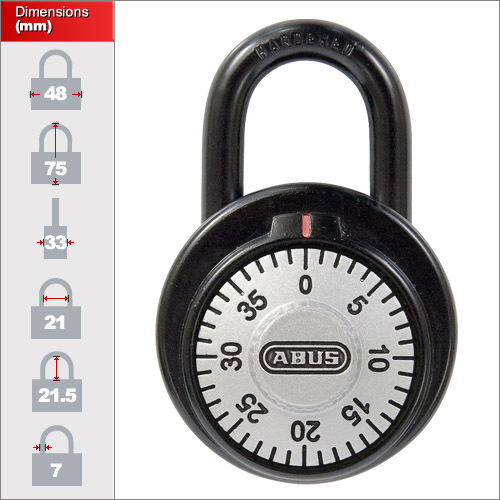 On our website we have one size of popular dial combination padlock but we hold numerous different sizes and codes. Please contact us for specific models or sizes. 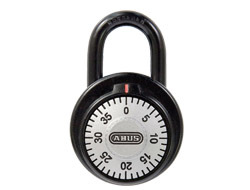 The dial design with its larger number of combinations can act as a deterrent to manipulation but retaining the usual simplicity of a combination padlock. Ideal for schools and offices where a medium security solution is required.